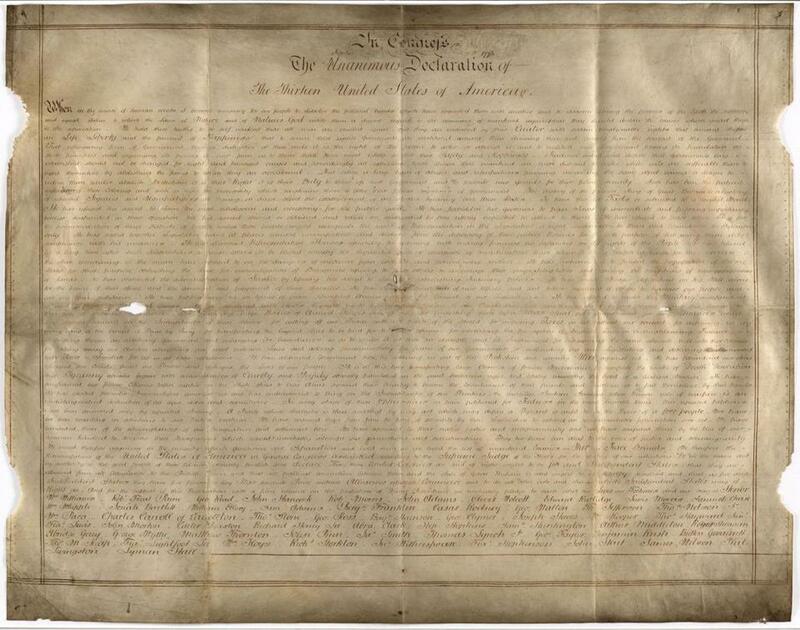 although there were 26 copies of The Declaration of Independence made at the time, it would seem that there is only the one signed original document, which is held by the Anerican National Archive in Washington DC . There were however a further 26 official copies made, until recently it was thought that only one copy had survived which , according to the National Archives, the Massachusetts Historical Commission held one of those 26 copies but a second original has been recently discovered in Britain. The parchment was likely made in New York or Philadelphia. The researchers are still trying to determine the person who wrote the document and who paid for the foundational document of the United States to be copied.The signatories on the Sussex version of the document are not broken down by state, something that distinguished it from the Declaration in the National Archives, the researchers said.